Edward Beck was born in 1912 and on leaving school got his first job at the Manchester stationery firm of John Heywood. 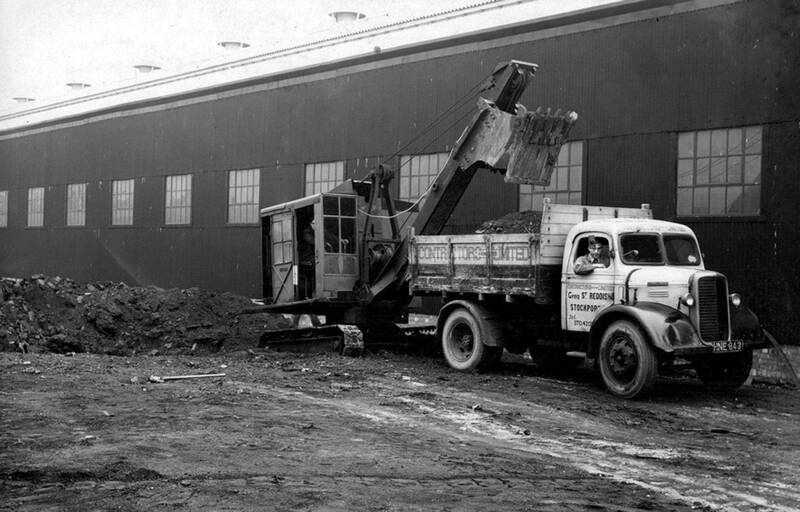 After a number of other jobs he started as a driver in 1932 for Thomas Nield & Son of Gatley delivering sand on a four wheeler and within a short period of time Edward rapidly progressed through the company gaining experience in heavy haulage and climbing through the ranks to become manager shortly before the outbreak of World War II. Thomas Nield whose son Fred also became a close personal friend of Edward Beck, operated a vast amount of heavy plant machinery. 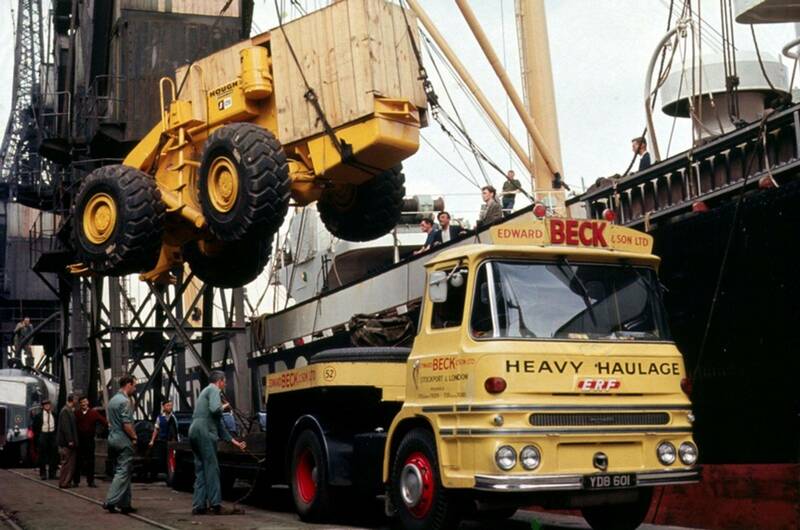 It was at this time that Edward Beck realised there was an opening in the heavy haulage sector to deliver such items and decided to go it alone and started up his own transport business. 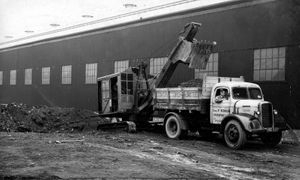 After the war In 1945 Edward Beck set up Contractors (Manchester) Ltd which was mainly involved with demolition and civil engineering. He set up his first yard which was located on Blucher Street with an office on Brazenose Street Manchester. At first Edward used a blue and gold livery for his vehicles but in 1948 he took the decision to change it to the striking parsons primrose yellow' livery which would become the company's trademark for over 20 years. In 1948 Edward moved his growing business from Manchester to Greg Street in Reddish near Stockport which proved to be an ideal spot for the subsequent growth of potential traffic. 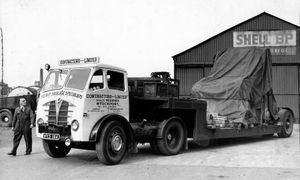 Edward soon picked up a variety of work including delivery of vehicle chassis's from Seddon Motors in Oldham along with the delivery of military equipment from the USAF base at Burtonwood. so set up Contactors (Vehicle Deliveries) which, at its peak, had 80 trade plates and over 100 drivers on their books. Utilising trade plates in this way enabled the company to deliver fleets of all kinds of brand new unregistered vehicles by road throughout the UK. In 1955 Edward Beck formed the limited company of Contactors (Transport) Ltd and business boomed with the company opening an office on Caledonian Road London managed by Jack Mayo later moving to Edmonton London, when it was managed by Edward Stringer. At it's peak the company also had offices in Glasgow and also Wolverhampton. 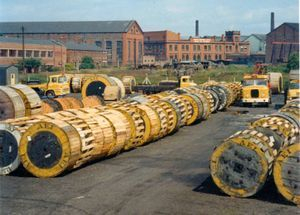 Beck's which in turn resulted in the expansion of the Greg Street HQ to six acres, primarily to store the huge variety of electric cable drums. 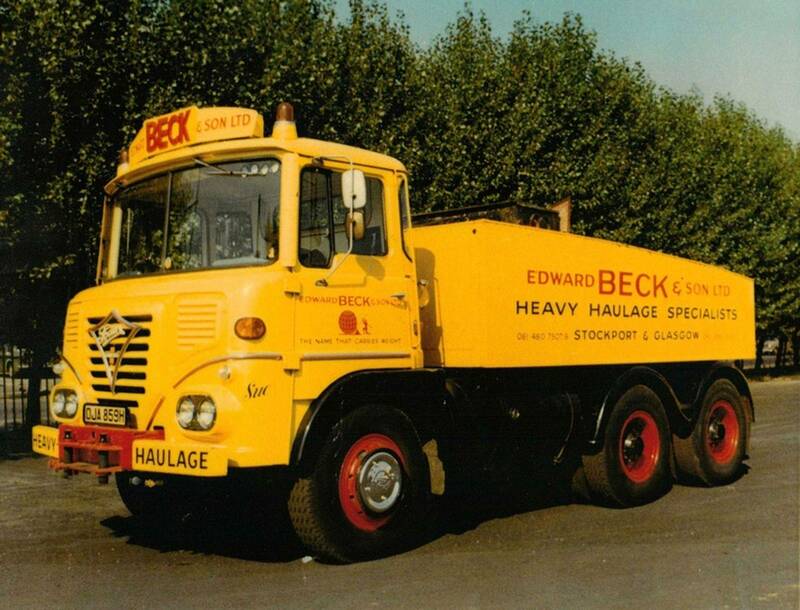 In 1958 John Edward Beck changed the company name to Edward Beck & Son Ltd. 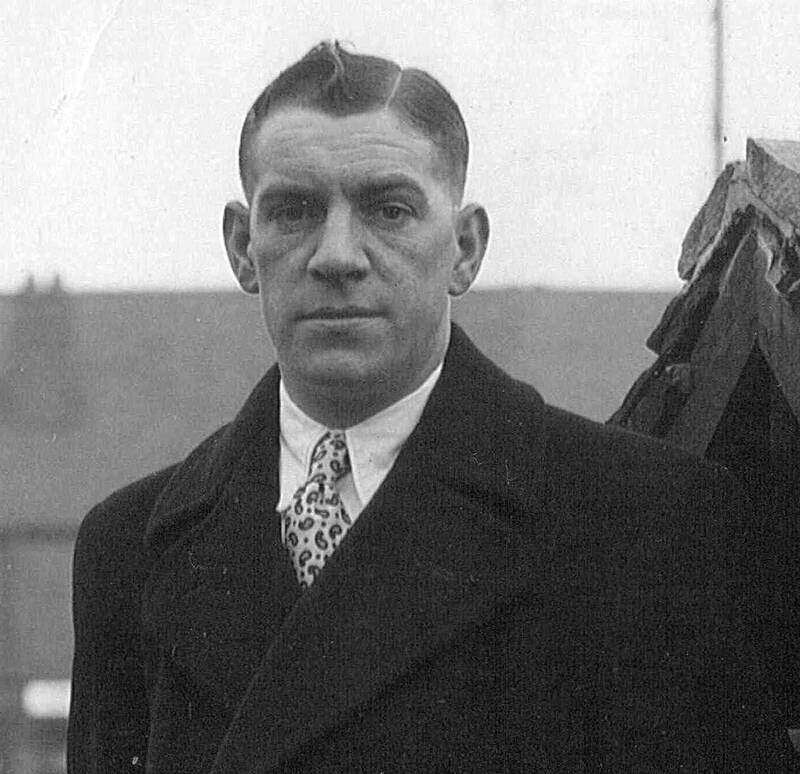 Meanwhile following the death of Thomas Nield, who Edward Beck had previously worked for from 1932 to 1945, his son Fred became the sole proprietor of his fathers company. Fred Nield's only son Fred jnr was tragically killed whilst riding a Norton Dominator up the A53 'Cat & Fiddle' road in Derbyshire, aged only 17. 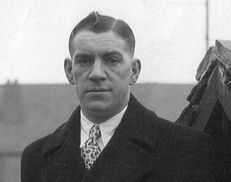 After the tragic accident Fred Nield, who had become a close friend of Edward Beck, slowly lost interest in the company and died in 1959 aged just 62. The business was then left to four employees of Thomas Nield who never really agreed on any business matters which eventually resulted in the company to cease trading seven years later in 1966. When the company was sold everything was split up, with the land and buildings of Thomas Nield's going to the construction company John Laing while Edward Beck & Son Ltd purchased what was left, which included various plant equipment, vehicles and licences. The 1950s and 1960s saw a construction boom in the UK with the building of new power stations, expansion of the national grid, new factories, and the motorway network as we know it today. 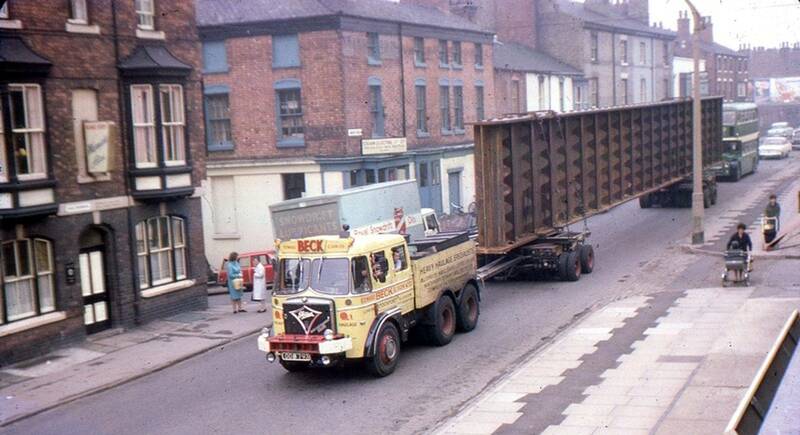 Amidst all this nationwide construction the need for even more movement of abnormal loads was a necessity which brought about a huge increase in work for the many heavy haulage companies dotted around the UK. 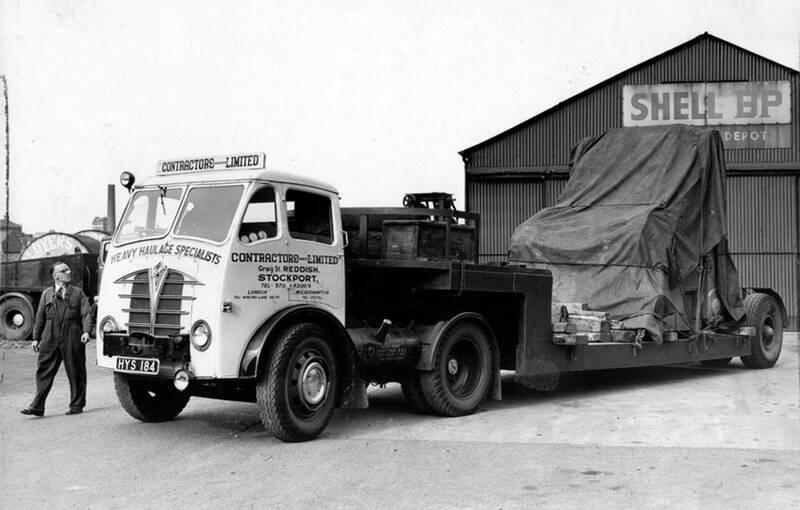 Although Scammell were well utilised in the heavy haulage business Edward Beck favoured mainly ERF and Foden vehicles of which they had many built to order and at their peak had a fleet of around 100 vehicles on the heavy haulage side of the business alone. 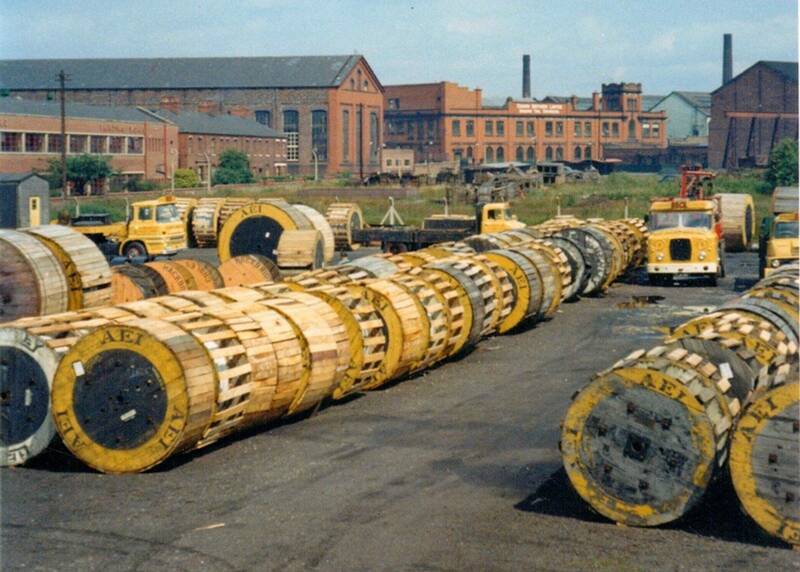 One of the company's main contracts was collecting and delivering American Caterpillar heavy plant machinery from Liverpool and Salford Docks s well as from Caterpillar's own manufacturing plants in Glasgow and Birtley. fifty trailers parked up at any one time on the dockside so as when a ship arrived all the Caterpillar equipment could be unloaded and taken off the dockside immediately, thus saving Caterpillar a fortune in quayside storage fees. 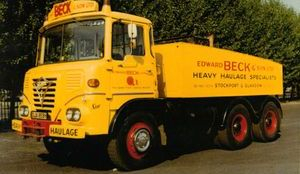 In 1962 the management of Edward Beck & Son Ltd all changed when Edward took on the role of chairman with his son John (Teddy) becoming managing director. introduced new operator licensing laws resulting in operators licences being available to almost anyone which in turn resulted in the heavy haulage transport market suddenly becoming a free for all. By 1972 the Beck family decided that enough was enough and the decision was made that the company would be wound up later that same year. Edward Beck then retired to the Isle of Man at the age of 60 along with other members of the Beck family, leaving the sight and sound of the company's familiar 'Parson Primrose Yellow' liveried vehicles on our roads only a distant memory. Contractors (Vehicle Deliveries) Ltd - Motor Vehicle Collection & Delivery. Edward Beck died in 1987 at the age of 74 while his wife, Sarah Ann, died in 2009 at the age of 96. Their son Teddy, along with Irene (his wife of 50 years) are now enjoying their retirement on the Isle of Man. With thanks to John Edward Beck (Teddy) for supplying all of the above detailed information and most of the images which feature in this collection. We hope you have enjoyed this site? If you would like to make a £1 donation to help with the administration and running costs of this site please click on the donate button below thank you. We hope you have enjoyed this trip down memory lane please feel free to leave any comments you may have about the site in our guestbook section or take a look at our members section. Clicking on any image below will take you to the relevant gallery.